As well as other changes and pressures can cause breakdowns in communication, cooperation and other essential processes of living together. Even extended relatives can have difficulties; common symptoms of discord include judgmental commentary, avoiding getting together for special occasions, and lack of connection with new members including new children. If this sounds like you and your household, then family therapy on the Gold Coast with Alegna Solutions may be of assistance. Our Gold Coast practice provides a safe, welcoming space for families to attend together (or separately) to begin working through their issues. 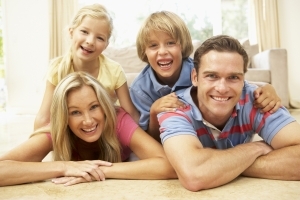 Our therapy service also caters to non-nuclear families, including single-parent and blended families. Our team consists of psychologists with special professional interest and training in family therapy. Our Gold Coast clinic’s principal psychologist Angela Elia takes a unique approach directed at ensuring that all members have a chance to express themselves, and build lasting bonds with one another. For more information or to book your initial appointment, please contact us on 1300 304 385.